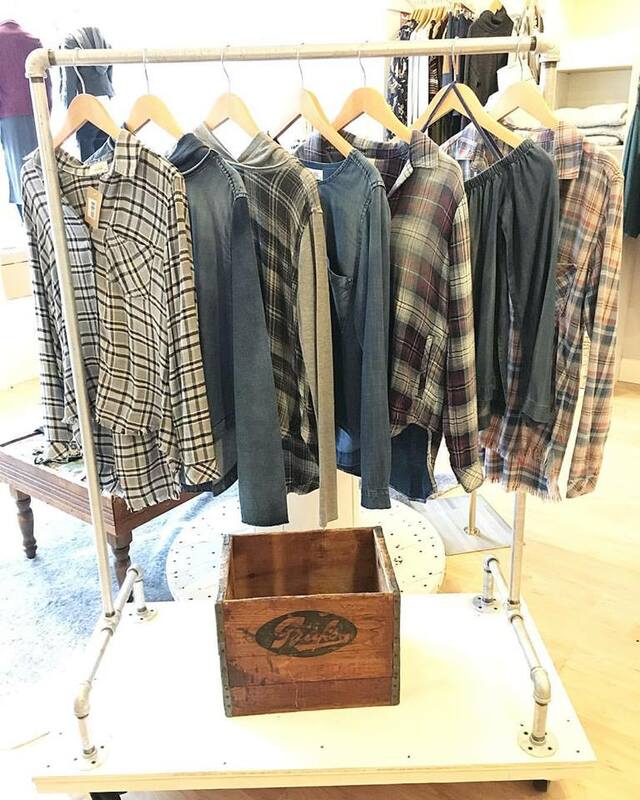 Birch, Old Worthington's newest boutique, is officially open for business. Worthington native Lindsay Harrington and her sister-in-law, Kellie Harrington, opened the shop at the end of September, adding to the growing number of new storefronts on High Street. 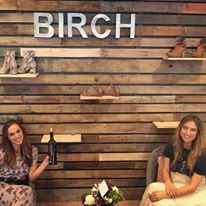 While Birch may be the Harrington’s first entrepreneurial endeavor, both ladies bring a wealth of experience to the table. Prior to opening the shop, Kellie spent several years working in advertising and marketing, while Lindsay managed a high-end lifestyle boutique in Petoskey, Michigan, the backdrop for many of the family's vacations. Given their connection to That State Up North, it's no surprise they named the shop after the beautiful birch trees that line the Lake Michigan coast. That up-north inspiration is evident throughout the shop, from the beautiful, handmade birch tree shelves to the rustic wooden backsplash and warm, cottage accents and décor. 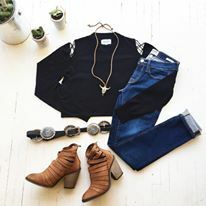 · Apparel – While you’ll find a few, popular brands like Free People sprinkled throughout the store, the Harringtons are focused on carrying unique, harder-to-find lines. “We’re excited to introduce our customers to some of our favorite, under-the-radar designers,” Kellie said. In addition to on-trend pieces like Frame denim, fringe dusters and leather jackets, Birch also features comfortable basics like tee-shirts and sweaters. · Accessories - A girl’s best friend! We're talking about ankle boots, scarves, belts, handmade jewelry by local designers Honey Rose & K and Meghan Browne and so much more. Birch has the perfect addition to any outfit. They also carry home accents like wine stoppers, mermaid bottle openers and cheese boards for those times when you need a great, last-minute hostess gift. · Birch Babies – Looking for a lovely gift for the new mamma in your life? Lindsay Harrington, who is expecting her own little bundle of joy this fall, will gladly show you their cozy sleeper sets and adorable moccasins. It’s what all the babies are wearing these days. · Active Wear – Your weekend attire has arrived. From fashionable crops, leggings and tanks to loungewear and studio-to-street looks, Birch has you covered with active wear by Alo yoga. Birch is located at 689 N. High Street. Stop by to share a warm Worthington welcome, or check them out on Facebook and Instagram.